In white. Practically new and in excellent condition. Sound great, look amazing and have not had one problem with their operation nor with firmware upgrades. $1850 plus actual packing/shipping. Payment via paypal. I also have a KEF Kube 1 sub to sell along with these for a great price. One must ask, why selling after such a short ownership?? Went back to separates, gear acquisition syndrome mostly. I’m a tinkerer and enjoy the hobby aspect of swapping out components. With the LS50w’s everything’s in one setup so that’s not too much an option. They sound great, and if you don’t have GAS like I do, they’re an excellent option. In fact I got them thinking they’d cure my GAS, and they almost did, but I got a bonus check and it was burning a hole in my pocket lol. If you don’t get a buyer, what about using your bonus to buy a KEF KUBE 12b to go with the LS50W speakers? Thanks Dave. I actually already had a Kube-1. 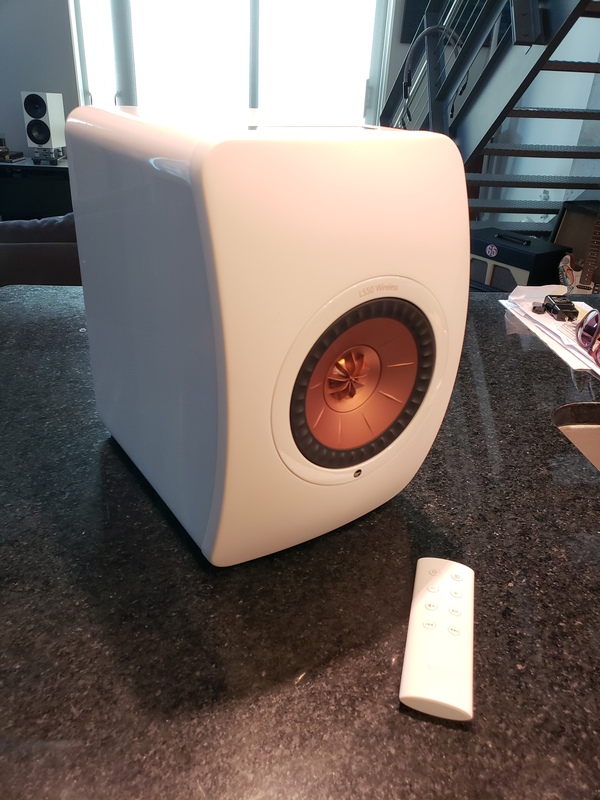 Decision to sell really wasn’t entirely about sound, as I mentioned, but the ability to have fun mixing and matching components, which I didn’t realize I was going to miss in my “simplification initiative”. 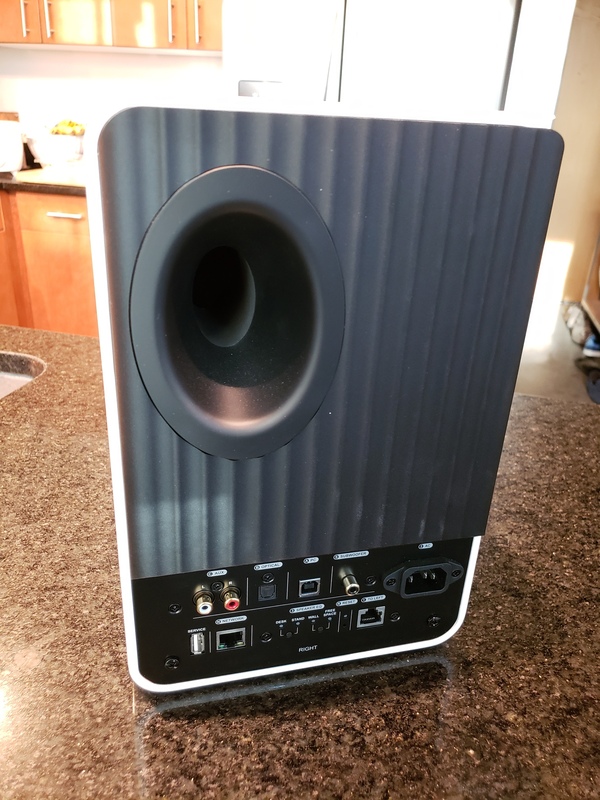 Outboard DAC with the KEFs might change the SQ, but ultimately you’re still using the LS50w in-built DAC, even if using the analog inputs, as the speaker needs to digitize the signal to get it over across the Ethernet connection to the other channel. I’ve never liked the idea of processing/converting the signal 2x. I can write under, That 2 Subwoofers is much better than 1. It’s not necessarily playing louder if you don’t want them, to do it! They don’t play lower, if you don’t want them, to do it! But the difference between using 1 or 2 Subwoofers is that they just are there! No matter if you have small speakers or big speakers, so does they lifting your other speakers to another dimension! I can never go back and only using 1 Subwoofer again, I’m using 2 REL R-528SE (only made in 500 exemplar) they have the same speakers and amplifier as the Gibraltar have! 12” carbon speakers and 500 W amplifier, in the size of cabinet they are like 17”-18” but fast as 10” Speakers! I just love them, if I should change sometimes I would go for their new line-ray No 74! Stacking 2 or 3 on each side, they have 18” speakers and 1000 W amplifier each! I have listened to this setup and the first fought is, that it’s just deep and loud bass and nothing else! But no it sounded amazing with a pair Sonus Fabre! Price lowered to $1750 plus actual shipping. I will cover paypal fees. 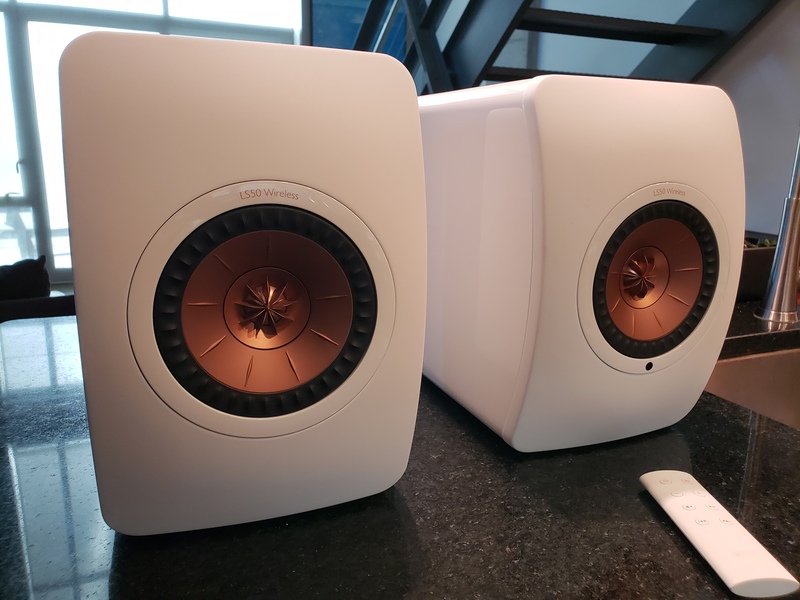 These are great speakers! I have owned a pair for 13 months now without any issues. They work great with Roon and are really a self contained system. Lots of inputs and options as to ways to use them. I am sitting here typing this and listening to them. This is a great deal for someone. Good luck with your sale. The white looks great. Hi Jon! Has these been sold? I’m looking for a pair and I’m also based in NYC. the white remote is a nice touch. 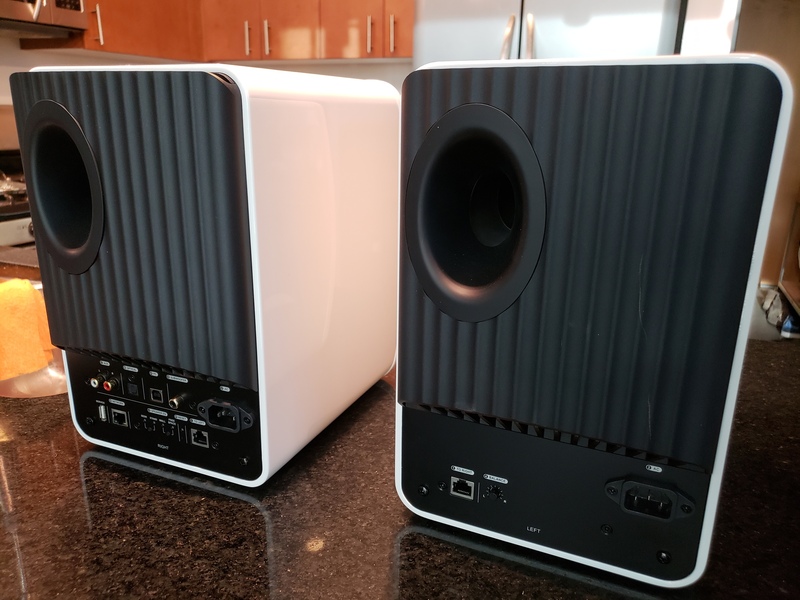 I have someone that is interested in purchasing these LS50W’s. Are they still available by any chance? Hi! Are these available still?